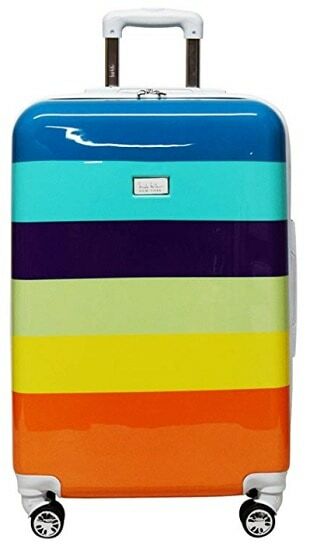 The Nicole Miller Rainbow 24″ Hard-Sided Luggage Spinner features lightweight construction with a shiny shell finish, a telescoping push button handle system, 360 degree spinner wheels for effortless mobility, and a fully lined interior. Select from several color styles. See the latest Kroger Ad.